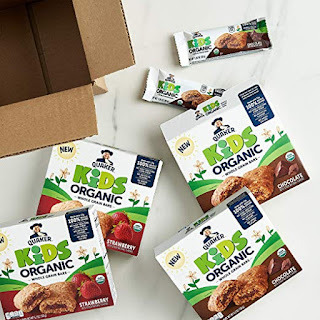 Amazon currently has a 30% off coupon for a 4 pack of Quaker Kids Organic Whole Grain Bars. There are 20 bars in all in all and they come in chocolate and strawberry. The bars are on sale for $13.67, down from $14.39 and with the 30% off are now $9.57. Quaker Kids Organic soft-baked bar provides 11-12 grams of 100% whole grains, are certified organic and made with simple flavors.